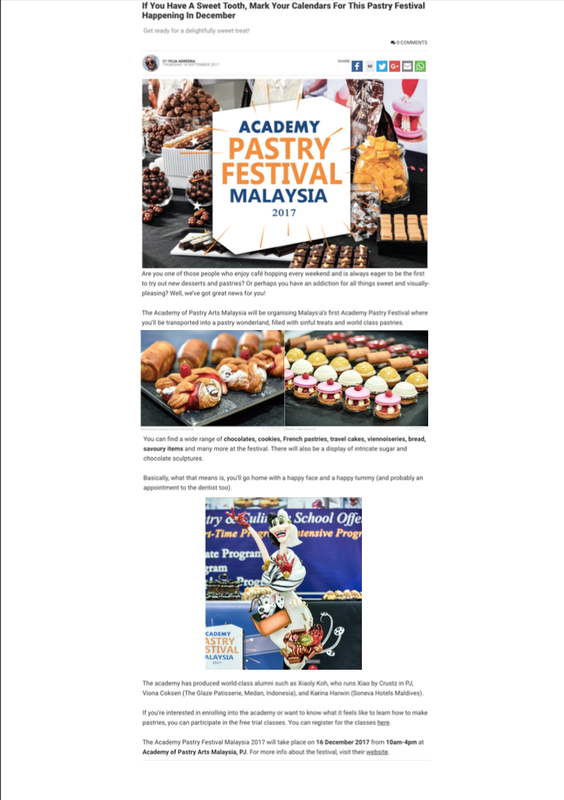 Hosting Malaysia’s first Academy Pastry Festival Malaysia 2017, the Academy of Pastry Arts Malaysia opened its doors to the public on the 16th of December 2017. 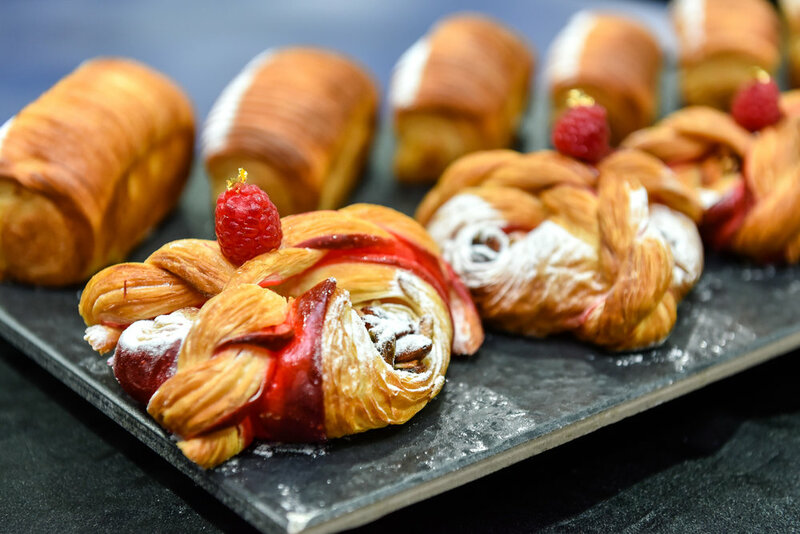 The event featured world class pastries for sale, intricate hand-crafted sugar and chocolate sculptures, trial classes and Academy Alumni booths. 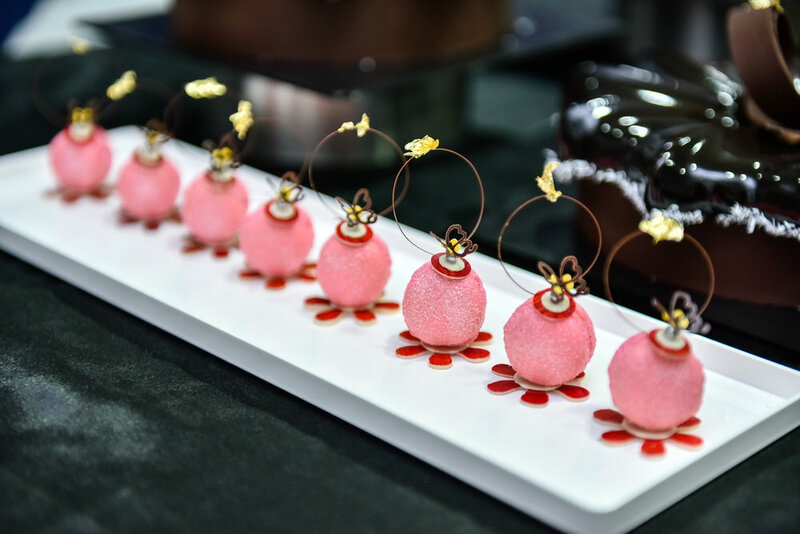 All proceeds went towards the Academy of Pastry Arts Scholarship Fund. 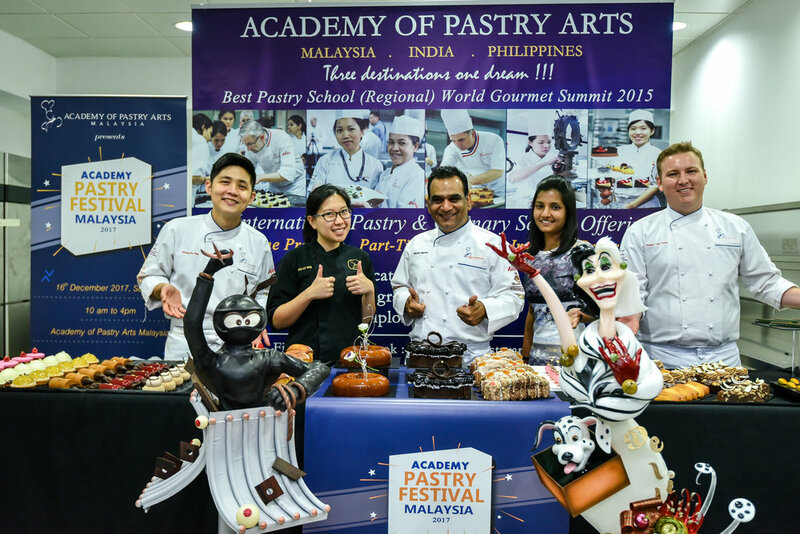 “We truly hope to share our passion with all Malaysians, and to not only develop further appreciation and understanding of Pastry Arts as a whole, but also as a rewarding career choice,” - Chef Niklesh Sharma, Founder and Managing Director.. Event attendance of 12 media persons. 17 pieces of media coverage across online, broadcast and print titles. Media coverage: more than RM740, 000 in PR Value.